"By far Courtney was the best, most relevant speaker we’ve ever had. She had us laughing and crying and totally engrossed in her story. Courtney was truly inspirational. If I could, I’d have her back every year." 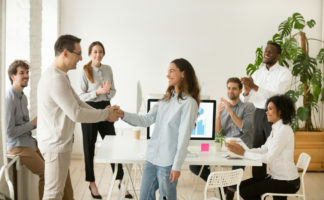 Resilient individuals manage organizational change better, close more sales, enjoy higher employee engagement, deliver better customer service, and provide decreased turnover. Courtney works with organizations that need teams who can succeed during stress and change without burning out, lashing out, or giving up. As a speaker, she provides content-based motivation that helps individuals adapt faster, achieve more, and develop Accelerated ResilienceTM. In today’s busy world, you have to bounce back quickly. You need Accelerated ResilienceTM. / Scott, Douglass, & McConnico, L.L.P. Be on Fire, Not Burned Out! Courtney Clark is the luckiest unlucky person in the world. At age 26, Courtney beat melanoma. But five years later, routine follow-up scans found an aneurysm in her brain that was close to hemorrhaging. 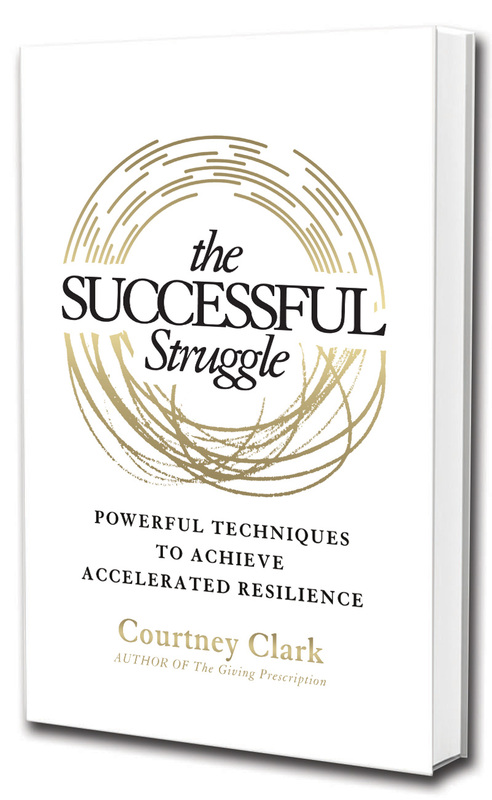 She is a speaker and the author of two books on resilience – The Giving Prescription, and The Successful Struggle: Powerful Techniques to Achieve Accelerated Resilience. Today, Courtney speaks to organizations and businesses that want to adapt faster and achieve more by creating a culture of Accelerated ResilienceTM. Her presentations are designed to help you adapt when the stakes are high and life doesn’t go according to plan. If you’ve suffered a loss or trauma, you probably feel that life as you know it has changed forever. Courtney Clark has been there. 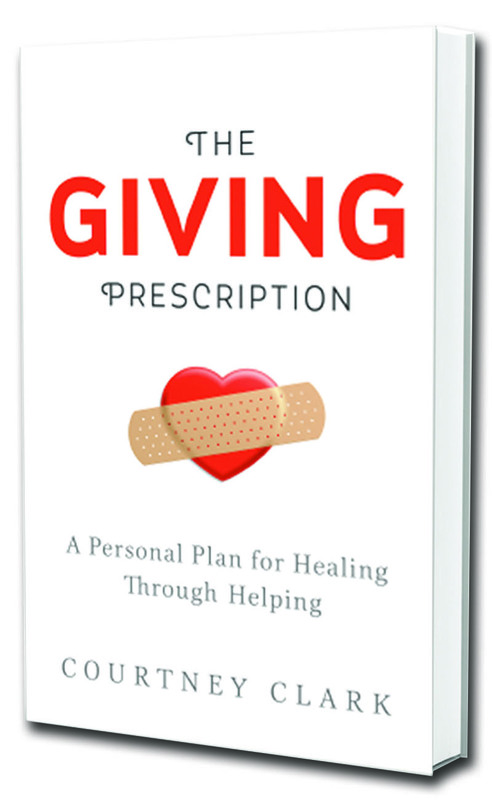 In The Giving Prescription, she shares a fresh approach to the healing journey: one focused on the fact that helping behaviors can help survivors find their footing after a major loss. As she draws from her own experiences, she shows how understanding the power of helping others can transform your journey of recovery. 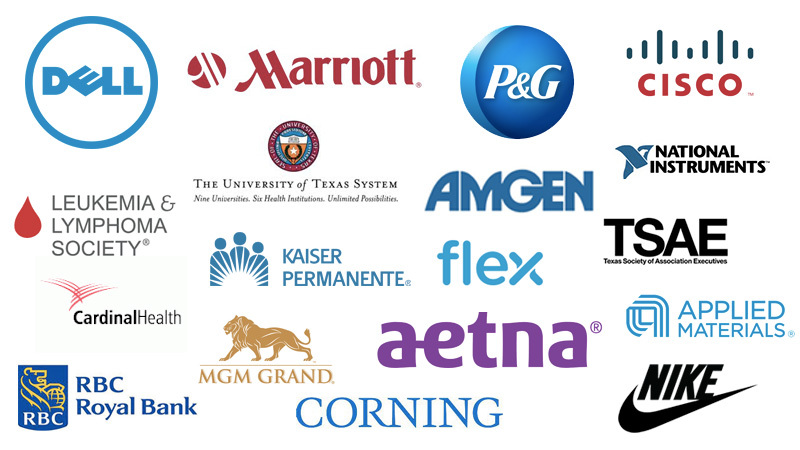 Not just resilience tools, but the right resilience tools for the challenges you are facing. Not all coping techniques are created equal. The research-based techniques in The Successful Struggle combine left-brain strategies with right-brain approaches to achieving resilience faster than ever. When change, chaos, or other struggles are in the way of your success, you need proven methods to overcome the barriers in your path. You need accelerated resilience. Motivational Speaker Courtney Clark travels from Austin, Texas to speak to groups worldwide. If you would like Courtney to bring Accelerated ResilienceTM to your group or event, please contact us today! How did you hear about Courtney? *Susan Schultz works for P&G, but the views expressed in this post are her own and do not necessarily reflect the views of her employer.